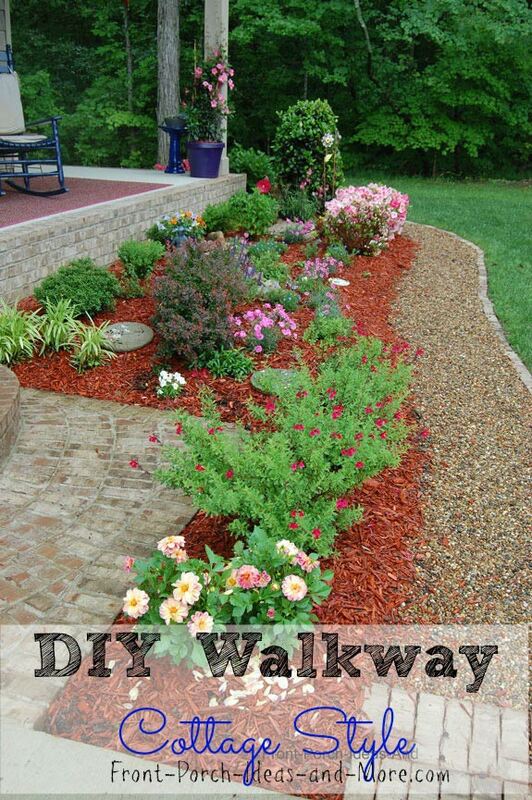 Use our DIY walkway idea to create an easy but aesthetically pleasing walkway around your front porch and yard. 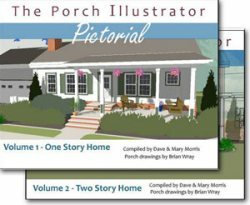 Mary and I wanted to create a cottage appeal for our front porch and yard. 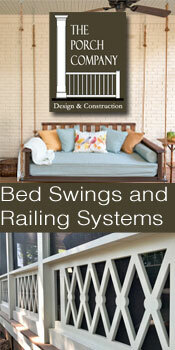 Our walkway is not only easy to do, but also relatively inexpensive, functional, and appealing. 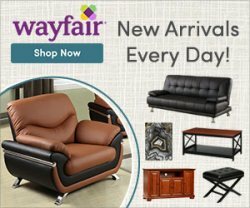 Whether you are handy or not, this walkway can be modified easily to fit your own requirements. 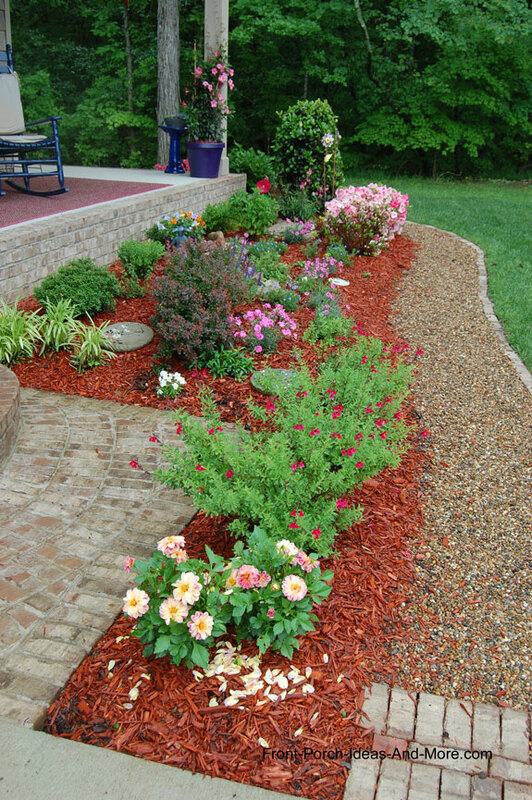 Although ours is gravel, you could easily install pavers, bricks, or stone on the base. Or, you could intersperse them in the pathway for a different look. Our DIY walkway added lots of interest to our front porch and yard. 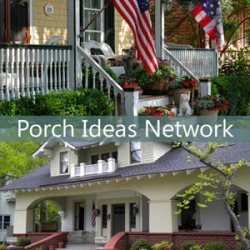 After this project we redid our front porch landscaping and documented that process as well. We even included a planting guide so you can see what plants we chose. This is a fairly straight-forward project. All you need are a few tools and a willingness to get dirty. Crushed Stone (or stone dust in some regions) for the base. 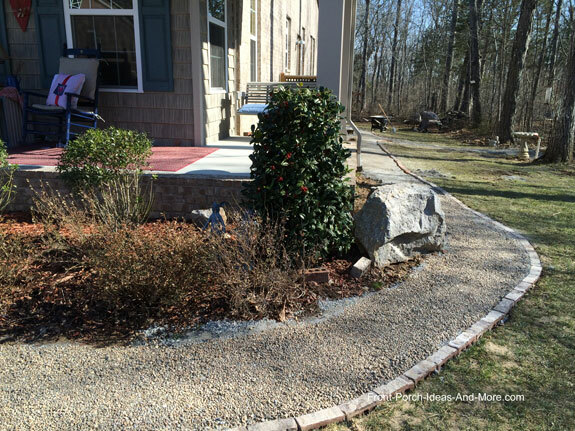 We show you how to calculate the amount of crushed stone and sand below. Before we began our project we calculated how much gravel we would need. The amount you need will depends on your own geographical area. We live in a temperate area with lots of rock and clay so we didn't need to worry about frozen ground moving our walkway nor did we have to worry about it sinking. 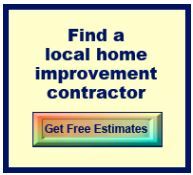 Your situation may be completely different; thus, you may want to consult with a local contractor to see how much you will need for your area. For best results, you will need a 4 inch layer of crushed stone, a one-inch layer of sand, and then either flag stones, pavers, or in our case, pea gravel. However, we opted not to use sand as the crushed stone provided a better surface for the pea gravel. 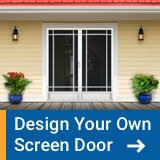 Determine Your Square Footage: Simply multiply the length of your walkway by its width. In our case, the walkway was 3 feet by 130 feet for a total of 390 square feet. 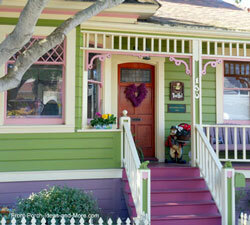 Determine Cubic Yards: Next, multiply the square footage by .01235. This is the amount of gravel or stone dust you will need in cubic yards. In our case it was 4.8 cubic yards for a 4 inch base. You will need to know this number when ordering your crushed stone or sand. If we were also using sand, I'd only need 1/4th the amount for 1 inch depth. Our layout was fairly easy. 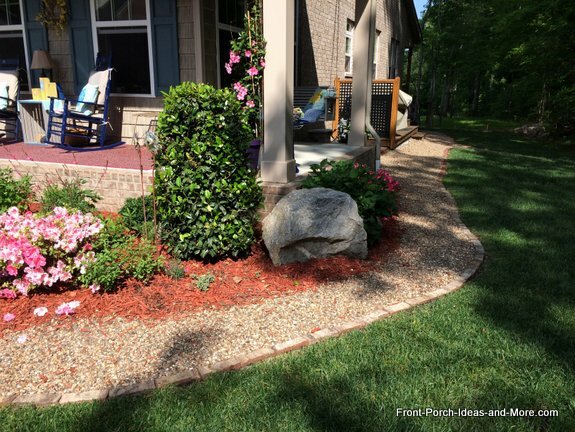 We wanted a meandering three-foot walkway adjacent to our flower bed. 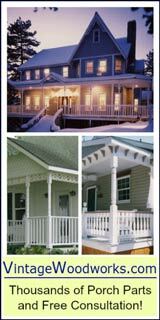 You can use a garden hose, pvc pipe, string, or other materials to define the edges of your walkway. Allow additional width for edging and working the path. We first removed the sod and I used some of it to patch other places in our yard. I then began removing the dirt to a depth of about four inches. After the dirt was removed I used reclaimed brick from a construction site to use as the border. If you have a new sub-division being built in your community, contact the builder to see if you can use the discarded brick. Often times, the brick is taken to a landfill and may be free for the taking. 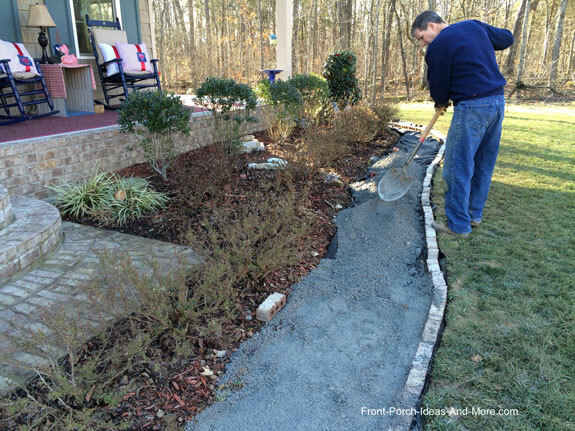 After we installed the edging, we began spreading the gravel. We rented a plate compactor and used it over the entire walkway; it worked extremely well to compact the crushed stone. 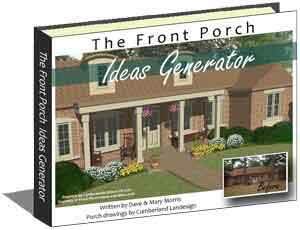 This will give you a really solid base upon which to place sand (if applicable) and your surface material. 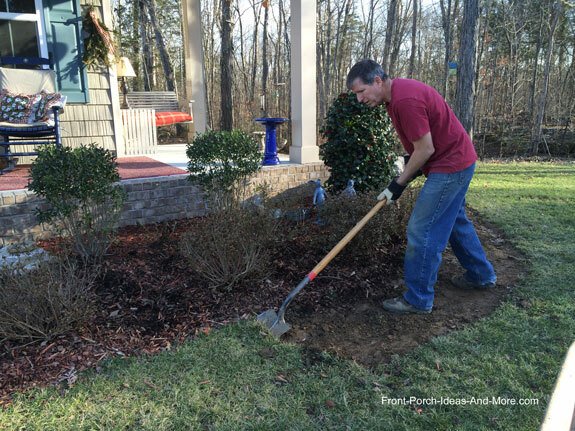 Placing an inch or so of sand on top of the crushed stone allows you to level the walkway before you place your surface material. In our case, we were using pea gravel as a top coat and therefore did not need to use sand. Instead of having pea gravel delivered, we purchased what we needed at Home Depot by the bag. The trick to using pea gravel is creating a thin layer on top of the gravel. Too much pea gravel and it will feel like you are walking in sand as pea gravel does not compact nicely since it is composed of round stones. 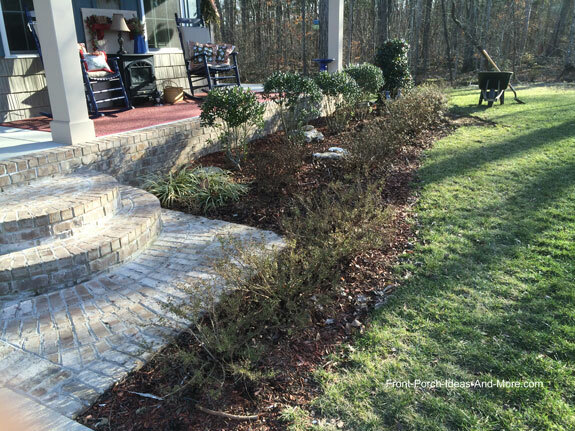 To complete the project, we backfilled the brick edging and planted grass seed. Because we wanted a cottage-style look, we placed the brick edging just slightly above the ground level and butted it against the landscaping. 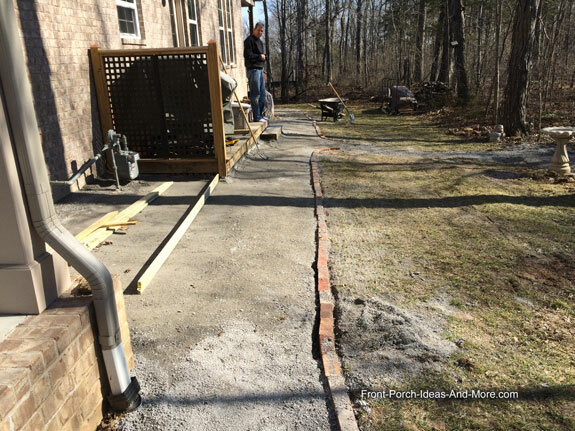 To introduce the walkway from the driveway, we created a very small brick landing which helps to keep the pea gravel from being kicked onto the drive. 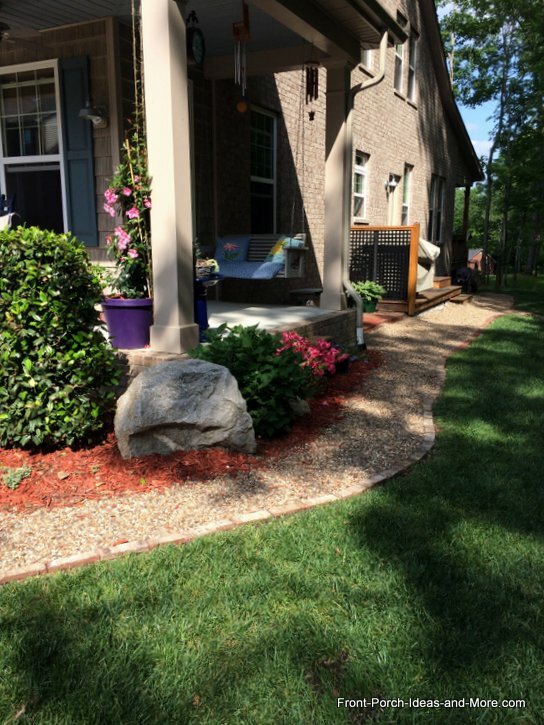 We love our DIY walkway and our fresh new landscaping makeover - see our link below.